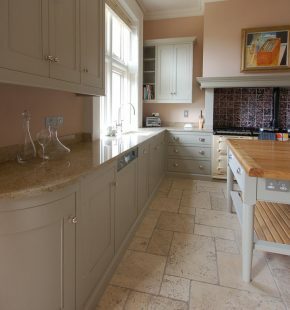 Nick named the style of this kitchen ‘Below Stairs’ as it is based on the Georgian and Victorian pantry kitchens at Lanhydrock in Cornwall, it is essentially a simple design that ties in well with large period houses and certainly compliments this large Victorian townhouse on the edge of Dublin. 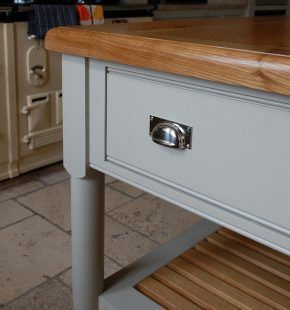 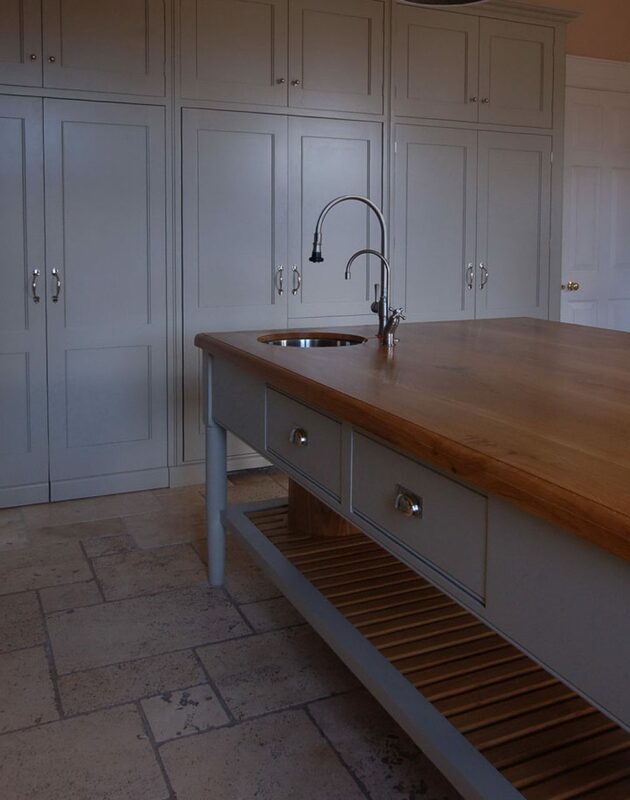 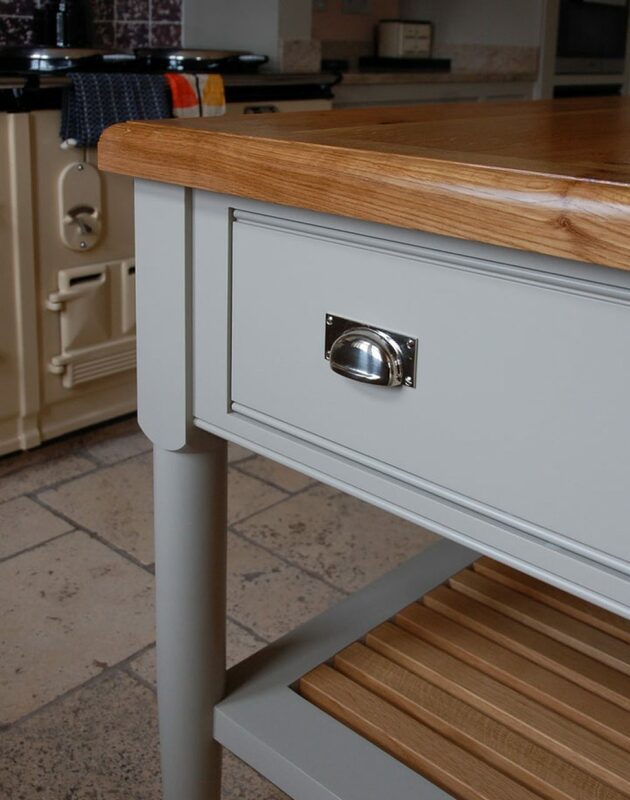 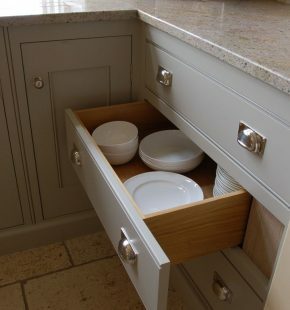 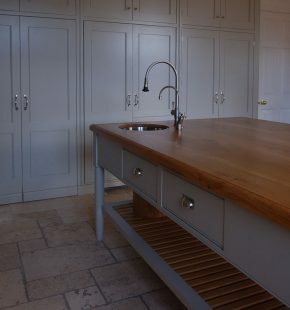 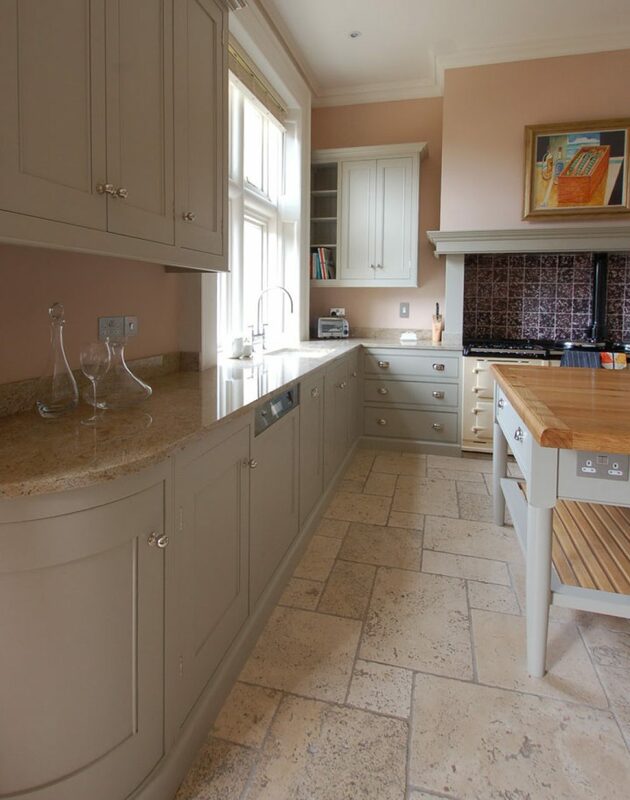 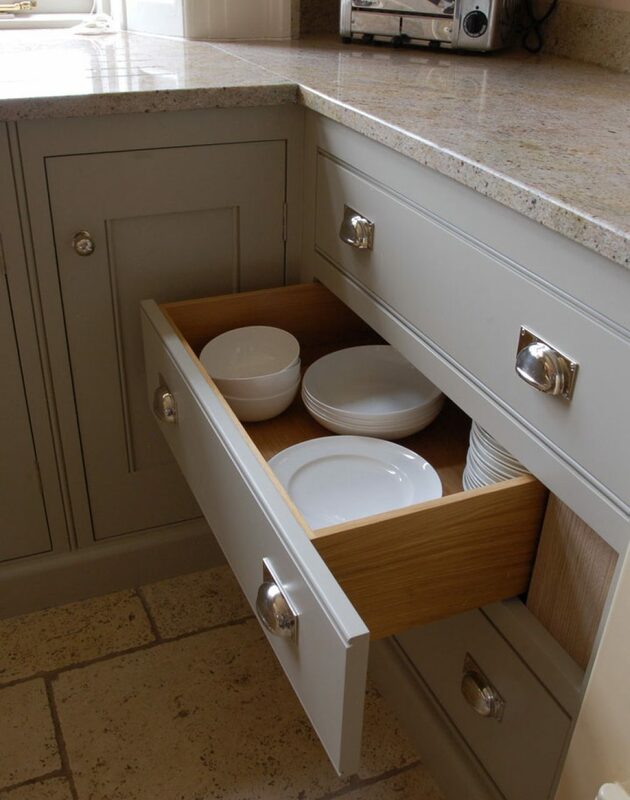 A good amount of storage was fitted around the main part of the kitchen which allowed for a very light looking island, which looks more like a freestanding painted table with a slatted base shelf, an oak top on which sits a prep sink. 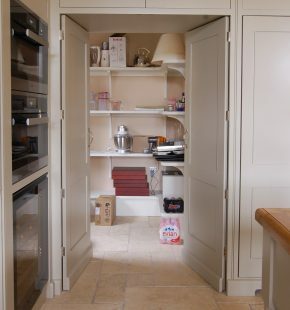 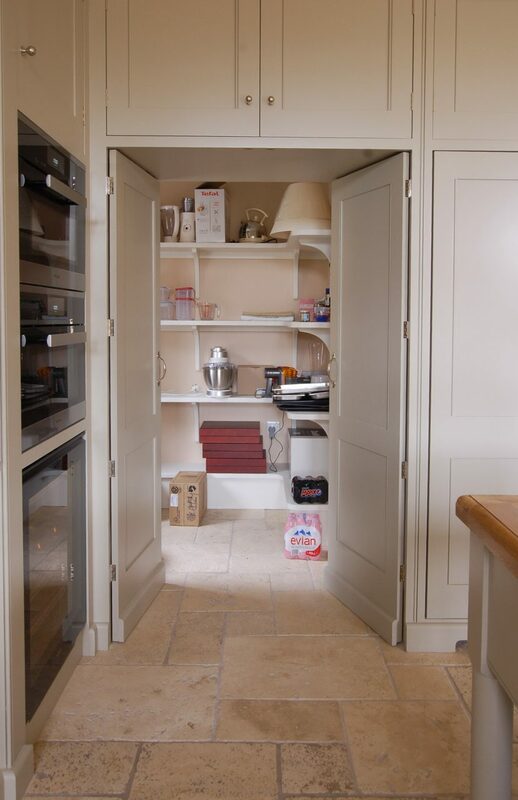 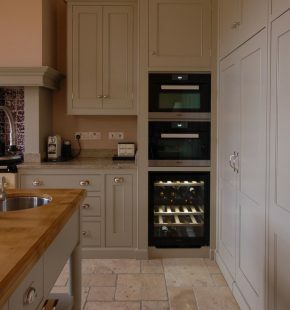 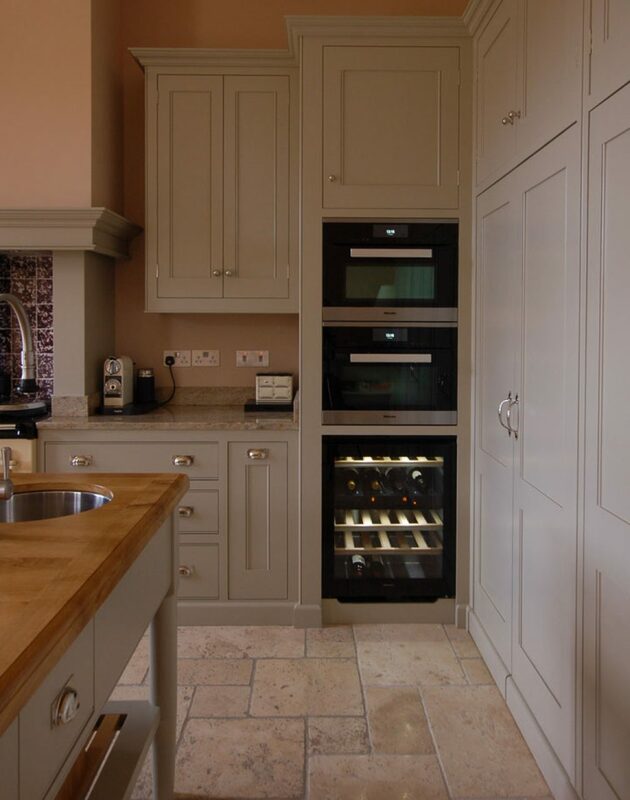 An existing pantry was modified so that its entrance could be hidden behind a continuous run of tall cabinet doors – so from left to right we have the pantry entrance, the Liebherr side by side fridge freezer, then a large crockery cupboard.